If the spring is still pretty chilling, autumn gets colder and colder or winter spreads its icy wings over the country, an outdoor coat is the right thing! For every season, every climate and almost any purpose there is the perfect outdoor coat. As the saying goes: There is no bad weather, just the wrong clothes. What is a good winter coat look about? An outdoor coat protects the upper as well as the lower body, as opposed to usual jackets. That is why an outdoor coat should be windproof or at least wind resistant. That way, you are protect against any sort of wind. As with many other outdoor fabrics, what is also important is the breathability. Moisture management should work perfectly and make sure that you do not sweat unnecessarily. At the same time, the outdoor coat should be protected from moisture form the outside, after all, the outdoor coat is supposed to be of good service even in really bad weather conditions. Down Coats & Co: What kinds of outdoor coats are there? 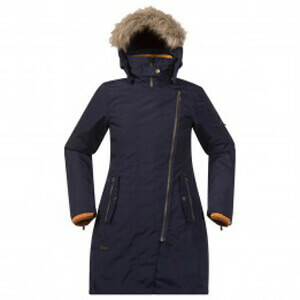 Rain coats, down coats, wool coats, coats for women, the range of models is large. But if you know which outdoor coat serves which purpose, the choice will be much easier to make. With the right outdoor coat, you will be prepared for the most unpleasant weather conditions! In the transitional seasons, when summer peeks through the clouds for a last time and autumn is inevitably closing in, the weather is perfect for a wool coat. This outdoor coat is perfect for strolls across autumn landscapes as it is not only comfortable to wear but also has a good thermal output. That way, a chilly breeze will not spoil your stroll. If there is a stormy wind outside, you should pick the softshell coat. This outdoor coat is not only very windproof but breathable as well. Your body will not sweat and any cold wind will bounce off of your coat. Even easy showers of rain are no match for this outdoor coat. If the weather is a little more wet, you are better of taking the rain coat. Due to a special waterproof membrane the rain drips off and you will stay pleasantly dry and warm. So, when dark clouds appear in the sky, there is no reason to frown with this outdoor coat. As soon as winter has finally arrived, the winter coat will provide a warm spot. Due to modern lining materials this outdoor coat offers high thermal output and will become your best friend on secluded winter hikes or while strolling through the Christmas market. But if it becomes really freezing, a comfortable down coat will get you through it. A thick down lining is not only pleasantly fluffy and comfortable but also provides by far the best insulation output. With this outdoor coat even the most freezing temperatures can be overcome and you will get through the cold time of the year with ease and especially well warmed-up.